We at Pet Hotels of America believe in sharing tips, tricks, and educational material that can help America’s pet owners gain confidence in their pet parenting abilities, budgeting, and training. Therefore, please enjoy the free pet eBooks as our thank you for being a loyal patron. 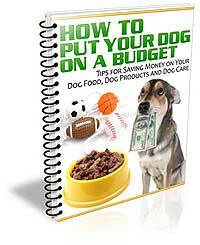 We’ll have more literature up soon, but for now, were honored to present this fantastic pet eBook from DogTipper.com entitled “How to Put Your Dog on a Budget”.